The Mezzalama Pant from Dynafit is a zip-on insulation layer designed for its namesake high-altitude race. Known as the white marathon, the Mezzalama is a long, arduous, often-cold affair. In such races and/or places, it’s nice to have a pant you can whip on without taking off your skis. The pants are made with a rip-stop nylon that is strategically (and lightly) filled with Polartec Alpha insulation. This gives you breathable weather protection and warmth when you’re running out of gas. Full side-zips let you put the pants on or take them off without removing skis. 60g of Polartec Alpha provides valuable insulation in remote places. Wind-resistant rip-stop nylon is treated with DWR for water repellency. Pre-shaped knees and a ventilation gusset signal activewear (vs checklist-wear). The pants are a Bluesign® approved garment, meaning they are planet-friendly. Usage Long, cold racing. Mountaineering. how is the freedom of movement in these? is the material stretchy at all? how would these be for instance doing some hard intervals? is the ventilation good? Freedom of movement is amazing for what it is, I was really impressed. The material isn't super stretchy but I didn't notice any hindrance in freedom of movement unless I was doing gymnastics and yoga. I think this would be great for doing some hard intervals if it's really cold out. If it's windy out then a lighter weight pant with less insulation like the Crazy Idea Light Pant would be my first choice and will likely breath a bit better than this. I'm considering this pant or the Crazy Idea Half Blade. Which pant do you think is warmer, more wind proof, more water resistant? Will most often use the pant over a pair of PDG or Pierra Menta pants or race suit. Have any thoughts about how either pant would fit and function to help me choose? Hi Kerry, they are pretty close overall. The Mezzalama seems to have a bit more insulating power, though the Half Blade might be a bit more weather proof so kinda a tossup. The Half Blade feels a touch slimmer, the Mezz has a looser feeling. what is the waist and length size of a median alpha pants? 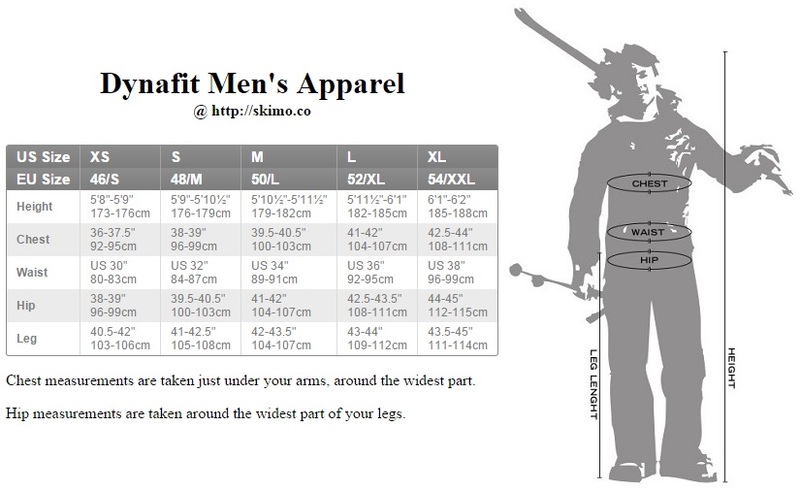 Hi Ray, thanks for pointed out that we were missing the size chart. It's posted now. For a US medium, the waist is around a US 34 and the length is 41-42".